Mom, the Intern: Nine years, nine pictures. This morning, I checked Facebook and saw a lovely tribute Dill had posted about me on this, our ninth anniversary. He chose nine of his favorite pictures of me and shared them with the whole Internet. But really, it melted my social media-loving heart. And I was super-impressed he took the time to do it before heading out to work early this morning while I slept in our cozy, warm bed. Major props. I decided I would follow suit here on my blog and post MY nine favorite pictures of Dill. It's hard to choose because he's so dang handsome all the time. But here they are, with explanations. This one was taken in December 2004, so ... a decade ago. We had just started dating and Dill invited me to his work Christmas party. I felt so nervous to be going on such a "grown up" date with a guy. He made sure I felt comfortable and must've really talked me up to his coworkers beforehand because they were all so nice to me. It was such a fun and memorable night. 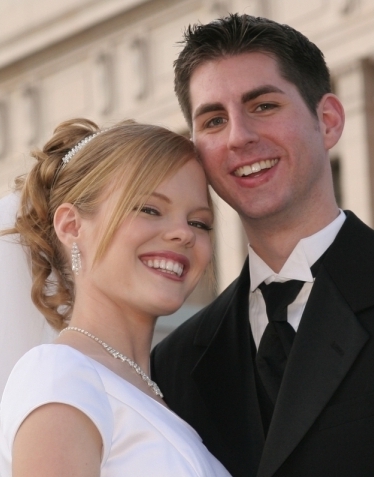 We had our professional wedding pictures taken a few days before we got married in December 2005. This one is my favorite of the bunch. We were a picture-perfect bride and groom, like a cake topper. Thanks to our photographer Bruce Barnes for this iconic shot. A few months after we got hitched, Dill's brother Mark tied the knot, too and Dill was one of his groomsmen. 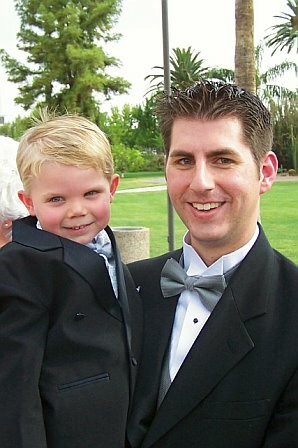 Here, Dill is holding his nephew Tanner, the ring bearer, who was 3 at the time. It was blistering hot that day and Dill took good care of Tanner. I love this picture because this was one of the first times I remember thinking what a great father Dill would one day make to our kids. Speaking of which, this is Dill with our firstborn, Audrey, on her birthday in October 2007. She came into the world via emergency C-section just prior to this. 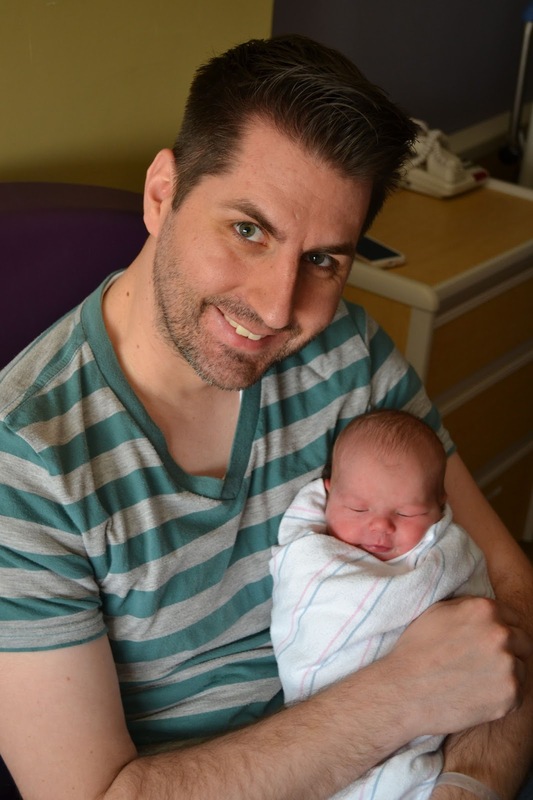 Childbirth is crazy enough for a first-time dad without the added stress of complications and I admired his calming presence during all of it. I was being sewn up when this was taken by my dad. I love how Dill is just sweetly stroking Audrey's little head with his thumb and staring at her in awe and concern. He was so nervous to be a dad, but I'm not sure why because he was already a pro at it! Another favorite: Audrey straight-up sucking on his face. He clearly loves it. That's genuine happiness right there! This is Dill with our second-born, Carson. A boy! You can see the joy and elation in his face at holding his newborn son. This was another rough delivery and we had been up all night without sleep. Carson was a beautiful prize at the end of a difficult journey. 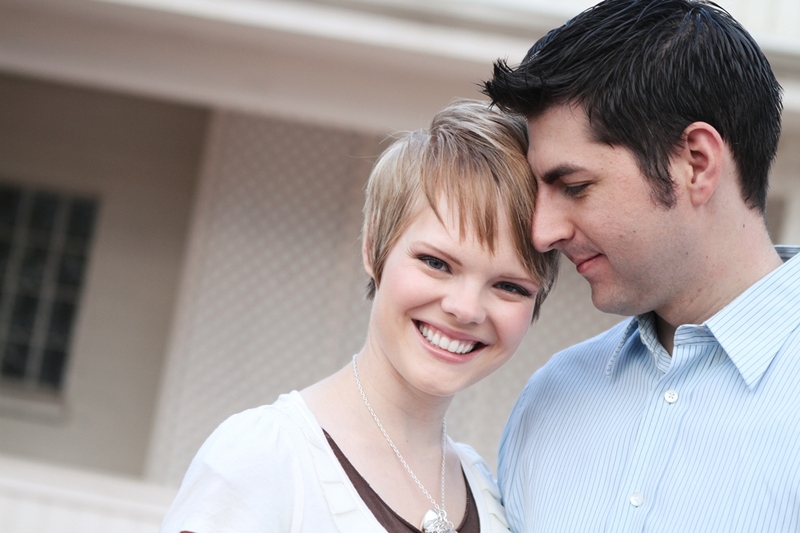 My friend Jessica Drew took this of us in 2010. Dill loves me so much and this picture really shows it. I'm also crazy about him in a dress shirt and this light blue one is a favorite of mine. He is just too handsome. This was from our Caribbean cruise in January 2013. Dill was so excited to try the FlowRider surfing simulator and I was amazed at how brave he was! He did great, too. This picture is exemplary of Dill's fearlessness and his natural ability to excel at anything. Plus, it also reminds me of one of the most fun adventures we've ever been on together! I think it's about time for another cruise. Wink-wink. Last but not least, Dill holding our last cutie, Clara, just a few days after she was born in April of this year. Scruff-faced and holding a baby? Yum. That's the way to a woman's heart right there. And Clara looks so happy o be chilling with her dad. Dill really is an exemplary father and I'm so glad he's MY baby-daddy! Thank you for 10 years of togetherness and nine years of marital bliss, Dill. It's been wonderful, crazy, and very trying at times, but that's what love is. I've also experienced my greatest joys with you and I wouldn't trade it for anything. Thank you for always supporting me and loving me completely. Thank you for your patience with me and our children, for sacrificing so much and for making life grand for us. I love you, Dilly-Pie!